Boat shed plans are made so that boats, canoes, surfing boards, diving equipment, and other items for use in water sport and activities would have a decent and secure place where they can be kept. Many boat sheds are built on the beach or the marina. They usually come as lockable wooden structures. Especially when on the beach, they are painted with bright colors and are used to store small boats and other beach equipment. One popular scene of a coastal area lined with colorful boat sheds and similar structures is the one on Edithvale in Victoria, Australia. The beaches of Victoria are said to have almost 2,000 boat sheds and bathing houses. You’ll notice that in boat shed plans the specifications are almost the same as bathing boxes or beach huts, except that a boat shed would have a ramp. A bathing box normally would have steps or nothing at all at the entrance. A boat shed is generally made of wood, because most wood types are naturally resistant to water damage. Wood, however, is actually known to rot, warp, or become prone to mold and mildew. 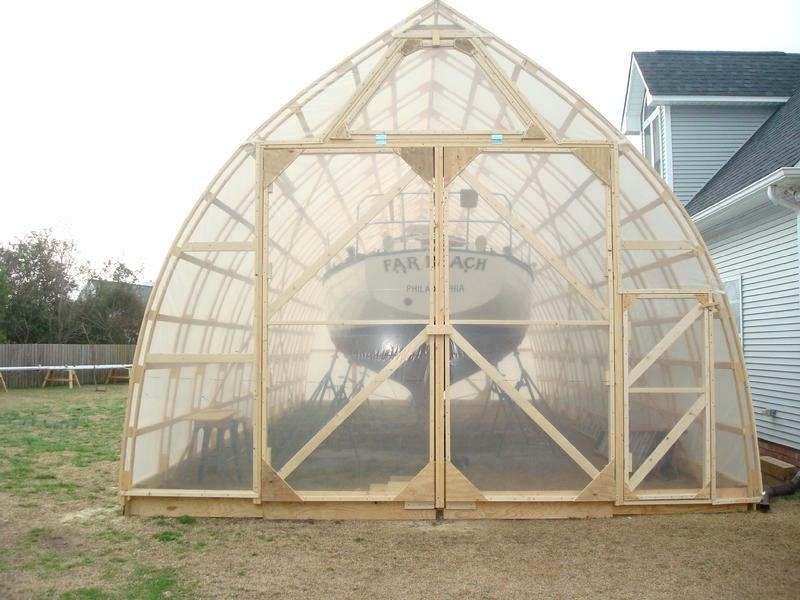 However, as most boat shed plans would specify, you can apply stains and preservatives on wood to prevent damage that may be brought by saltwater, air, rain, damp ground, pests, and other natural conditions, particularly when you’re along the coastline. Cedar is, perhaps, the most commonly used wood for boat sheds. Builders of boats and boat sheds prefer this wood type, because it is lightweight and can be easily worked on. Among the kinds of cedar used are Alaskan Yellow, Port Oxford, White, and Western Red. The strongest and hardest cedar wood is Alaskan Yellow, which is, as its name says, yellowish in color than most cedars. Port Oxford, on the other hand, comes in a light brown color and has a coarse texture. It is chiefly used for planks and, at times, made into interior finishing materials. White cedar is characterized by its fine-grained wood that has an aromatic odor. It is also chosen for building small boats due to its resistance to rotting and ability to be worked easily. Western Red cedar, meanwhile, is the most popular material mentioned in boat shed plans because of its tensile strength and natural resistance to the various elements of the environment. It is definitely important that you choose the perfect material for your boat shed to make it functional and long-lasting. But, remember, you can also make them eye-catching. A bit of color on the roof, on the cedar siding, or both will make your boat shed stand out on the beach.